Help keep your home smelling fresh and clean with Weruva's Natural Quick Clumping Cat Litter. 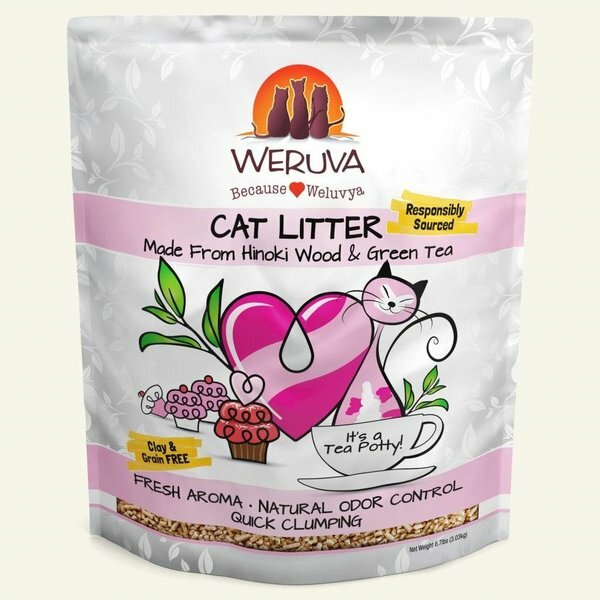 This unique litter is made with hinoki wood, also known as Japanese Cyprus, plus green tea! Both of these ingredients are included to help stop the growth of bacteria and odor. This quick-clumping formula is clay-free, grain-free and has a low-dust content, so you and your feline friend can breathe easy.